These Ariat Black Tri Factor Grip Full Seat Breech are ready to work for you. They feature Ariat V3 technology to accommodate for the varying hip angles a rider has as they ride. 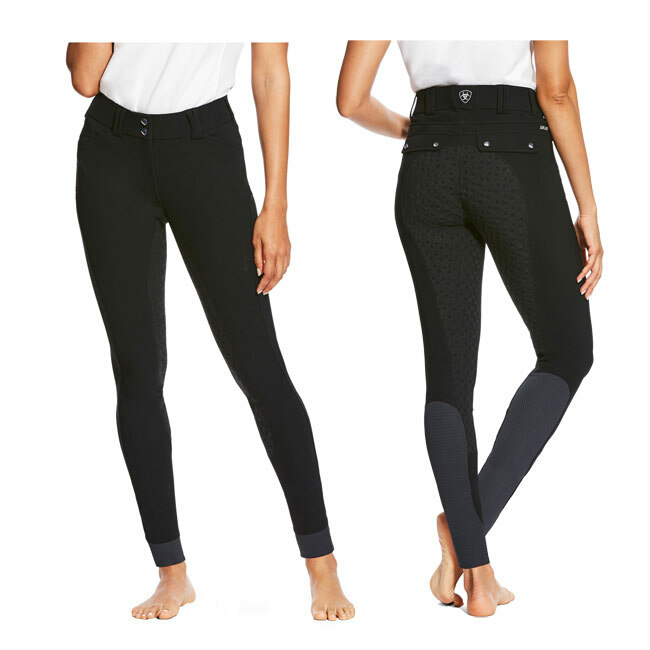 These Ariat breeches also feature Core Control Technology and Calf Fit System to support your core muscles and smooth the midsection while also supporting your calf and ankle for the best fit, feel, and look you could imagine. Ariat has truly thought of it all to also include Icefil technology to keep you cooler, Compression technology to flatter your body and retain its shape, and Silicone Grip for optimal grip in the saddle. You will not find a better pair of breeches out there.